Kicking off its BlackBerry World conference, which opens tomorrow, RIM today officially unveiled the BlackBerry 9900 and 9930. Part of the Bold line, the phones are the first to run BlackBerry 7 OS, a redesigned version of BB 6 that appears to look more like the PlayBook’s Tablet OS. The two phones, which were leaked earlier this year, feature a 1.2GHz processor, a “Liquid Graphics” touchscreen, HSPA+ support, 720p HD video recording, 8GB of storage, 768MB of RAM, near-field communication (NFC), and augmented reality support. They are also thinner than usual, at only 10.5mm and RIM pointed out the “premium materials” they are made out of, like stainless steel. Liquid Graphics: The touchscreen should be faster and more responsive, offering “up to 60 frames-per-second.” The screen is 2.8 inches and capacitive with a 640×480 resolution. NFC: Both the 9900 and 9930 have NFC built in, a technology that allows you to use your smartphone as a credit card, swiping it about 2-4 inches from a receiver to make a payment. RIM did not announce any proprietary software or service to couple with the feature. Augmented Reality: RIM points out that the two phones have a built-in digital compass to support location-based services and augmented reality. New APIs and Wikitude support (AR software) should help developers build in AR support into their apps. Microsoft recently announced a push into augmented reality as well in its upcoming Windows Phone Mango update. BlackBerry 7 OS: The next version of RIM’s OS looks more like the PlayBook Tablet OS. 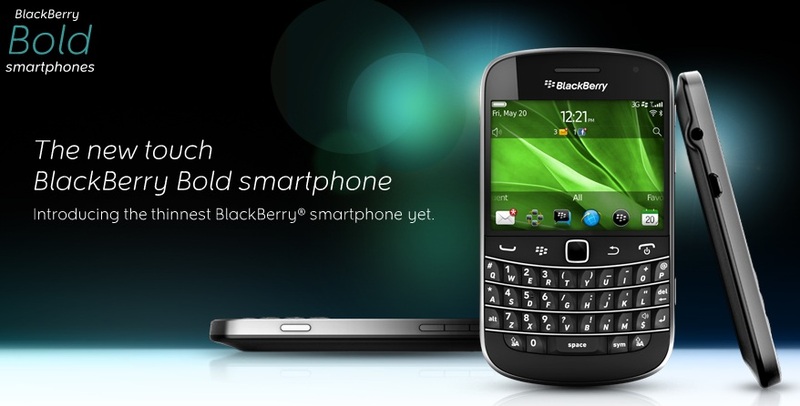 It comes with an “enhanced” browser, voice-activated searching, more preloaded apps like Docs To Go (Office clone), and a new feature called BlackBerry Balance, which separates corporate content on the phone from personal content, allowing users in tight security companies to use social networks and things of that nature. Both phones should be available this summer with the 9900 heading for GSM carriers like AT&T and the 9930 heading for CDMA carriers like Verizon (no 4G LTE support was announced).